Dutchies love desserts, and have plenty of patisseries, bakeries, cakes and shops to satisfy these sugar cravings. From traditional Dutch treats such as stroopwafels and poffertjes to more classical cakes and pastries, these dessert addresses’ specialties will make your all your saccharine dreams come true. This chain of ice cream shops offer the best homemade ice cream in the city. Made with Dutch cream, Ijscuypie offers the most special flavours. Our tip: the speculaas ice cream, made out of the traditional Dutch spiced cookie. Winkel 43’s generous portions of crunchy baked apple pie is served with dollops of delicious whipped cream and is heralded as the best appletaart in the city. Just go. “The Last Crumb” serves heavenly cakes, tarts, pies and cookies, all showcased beautifully in its whimsical window display, that visitors walking by cannot help but step inside. (See image above!) The homemade lemon poppyseed scone and the courgette cake are crowd favourites. If the weather’s nice, sit out back on the terrace with a view of the canal and boats passing by. This beloved Amsterdam institution has been around since 1886, offering the best classical cakes in town. Local favourites include flavoured chocolates, mini madeleines (almond cakes) and the lemon meringue cake. Don’t miss out on the champagne cake, it tastes as lovely as it sounds. Poffertjes are like mini pancakes, but fluffier and puffier due to extra yeast on the batter. The most delicious and buttery ones are made fresh and sold on the streets. Check out the stands at Noordermarkt flea- and organic market for this traditional Dutch treat. This bakery produces the most delicious tompoucen in Amsterdam. The tompouce is one of the most iconic (and difficult to eat) Dutch pastries; two layers of puff pastry with cream filling, topped with smooth pink icing. The Old Dutch Candyshop, located in the heart of the Jordaan district, offers delightful candy made in the way our grandparents used to enjoy it. Dare to try drop (licorice) – most Dutchies’ favourite candy. Famous for their giant-sized homemade stroopwafels, this confectionary, tea room and ice cream parlour has been around for more than a hundred years, boasting four generations of master bakers. While traditional stroopwafels have caramel filling, Lanskroon offers two mouthwatering flavours: hopjes (coffee and caramel toffee) and honing (honey). 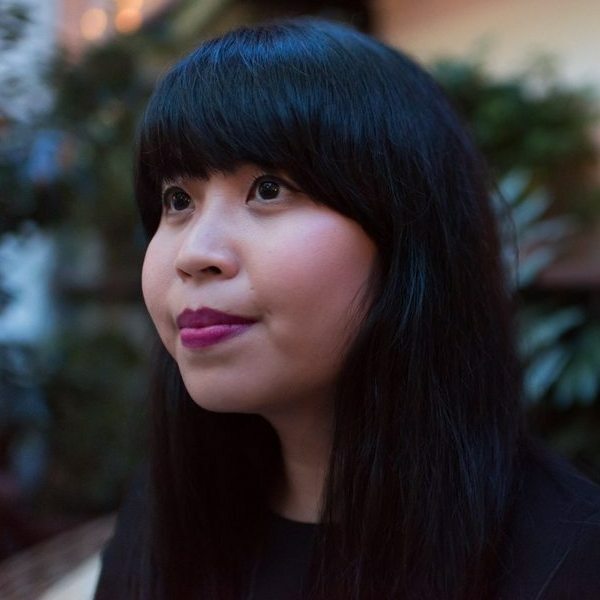 This lovely lady creates the most amazing customised birthday and wedding cakes. Arienne does not have a shop or bakery open to public yet, so requests are done via phone or e-mail. The chocolate cake with raspberry mousse is delicious! Hidden in a small alleyway close to Spui square lies a small cookie store selling the best kind of chocolate cookie in the world: dark chocolate cookie with melt-in-your-mouth white chocolate inside. Soft piano music fill the air, light from crystal chandeliers sparkles down on rows of delicious cookies that are made fresh every 20 minutes. A must-try! 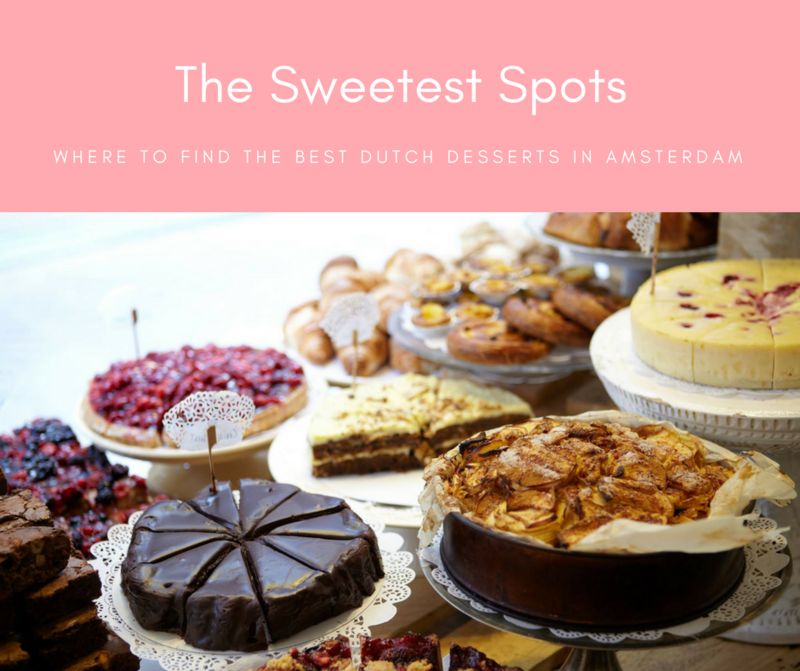 This hidden gem (smack in the middle of the busiest part of town, close to Nieuwmarkt) combines the prettiest location – pink walls, concrete floors, neon lights and vintage furniture – with the most delicious homemade cakes and pastries. The best of the bunch? The delectable banana cake with Nutella and peanut butter frosting, which comes in extra huge slices. Enjoy! This article was originally published on a special issue of the Amsterdam Magazine, A-Mag Mini: EU Presidency Edition.